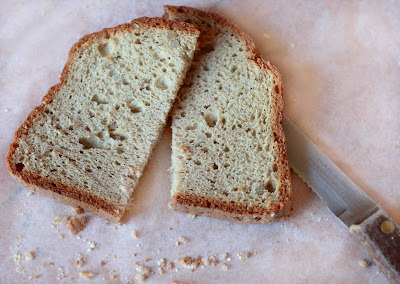 March 29th 2012: The Best Gluten Free Bread on the Market? The Best Gluten Free Bread on the Market? 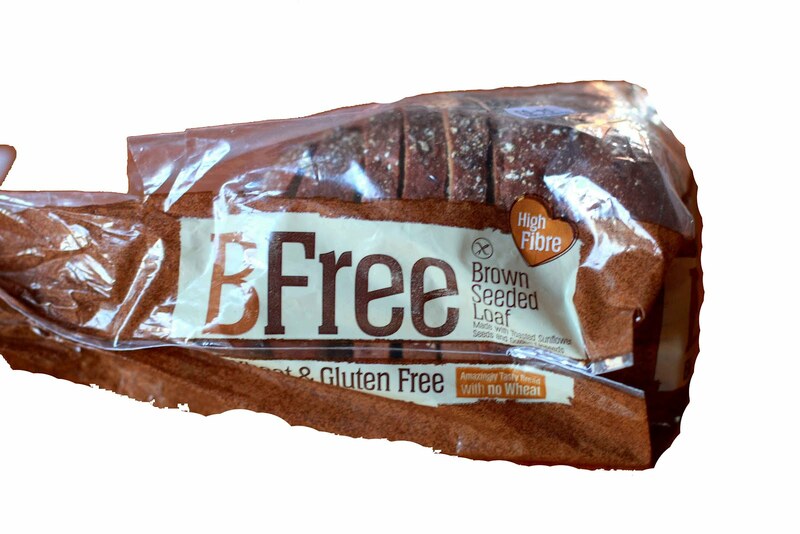 So now that the mad rush of a new Allergy Free product has died down and the pop up shop is gone I thought it high time to review what was advertised as the best Gluten Free and Wheat Free bread on the market, BFree. But guess what? BFree contains Milk and Egg! ... How very annoying ... so I was forced to make a panel of taste-testing friends and family to tell me what it was like. My panel tried the BFree Brown Seeded Loaf. The loaf is actually quite heavy but looks lovely, fluffy and dry when sliced and the over-bounding response was ‘Yes! It really is good!’ M. said that it tasted great and was just like real bread (she has recently given up Gluten and Wheat based breads). P. also said that it was nice and had a few slices but was a bit more reluctant to give indepth criticism (he is more of a traditional bread and butter, meat and potato kind of guy). 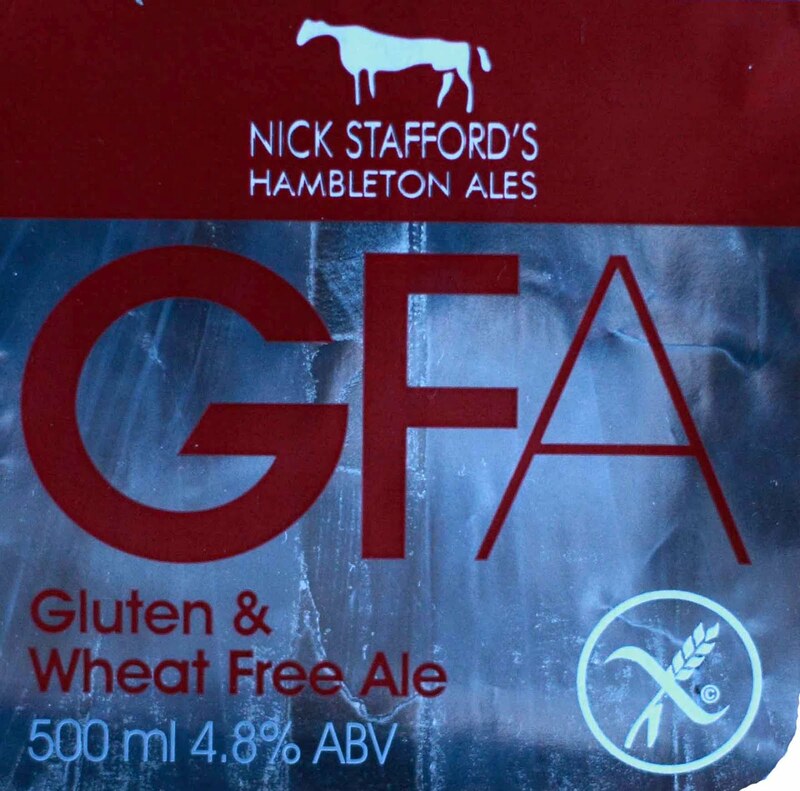 And B. said it was definitely good but still contained the trademark ‘Gluten Free’ aftertaste albeit to a fainter degree (Gluten free eaters everywhere will be familiar with the slightly ?dry? 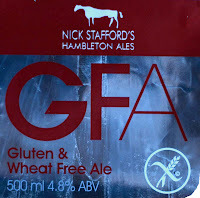 aftertaste common to almost all Gluten Free products) but even despite this gave it thumbs up. Despite everybody liking it and confirming that BFree really is a top notch Gluten Free, Wheat Free bread, there was some comment on a slightly ‘caky consistency’ (also common to Gluten Free breads) but this caky-ness was not so caky as to discredit its wonderful bread-like attributes! So, it looks like BFree really is the bees knees in terms of taste and wheat bread simulation. In terms of Allergy Friendliness it's a bit of a mixed bag: The Brown Seeded Loaf is amazingly Potato Free and Soya Free (!!) but then goes and ruins it all by containing both Milk and Egg (!!!!) which eliminates all Gluten Free Vegans, Strict Vegetarians, Egg Allergic and Dairy Allergic from it’s bready goodness. But I guess you win some and you loose some. BFree is available in a ‘Soft White Loaf’, a ‘Brown Seeded Loaf’, ‘Brown Seeded Rolls‘ and ‘White Demi Baguette’ in Dunnes Stores. The loaves are approx €3.00 each. It took me a while to find it because it isn’t located with the Free From and Organic produce as expected, but actually lives alongside the Wheat based breads in the mainstream bread section. Ingredients: Water, Tapioca Starch, Corn Starch, Maize Flour, Brown Rice Flour, Buckwheat Flour, Sunflower Seeds (4%), Dried Egg White. Rice Bran, Whey Protein Isolate (From Milk), Treacle, Linseeds 2%), Thickening agent: Xanthan Gum, Cellulose, Rapeseed Oil, Salt, Yeast, Sourdough (Fermented Quinoa and Rice Flour). Psyllium, Apple Fibre, Flour Treatment agent : Ascorbic Acid, Thickening agents: Guar Gum, Hydroxypropyl Methylcellulose, Raising Agent : Sodium Bicarbonate. I’ve noticed that a lot of people are really excited about Alpro’s new Dairy Free, Soya Free and Gluten Free nut based milks, available in both Almond and Hazelnut. 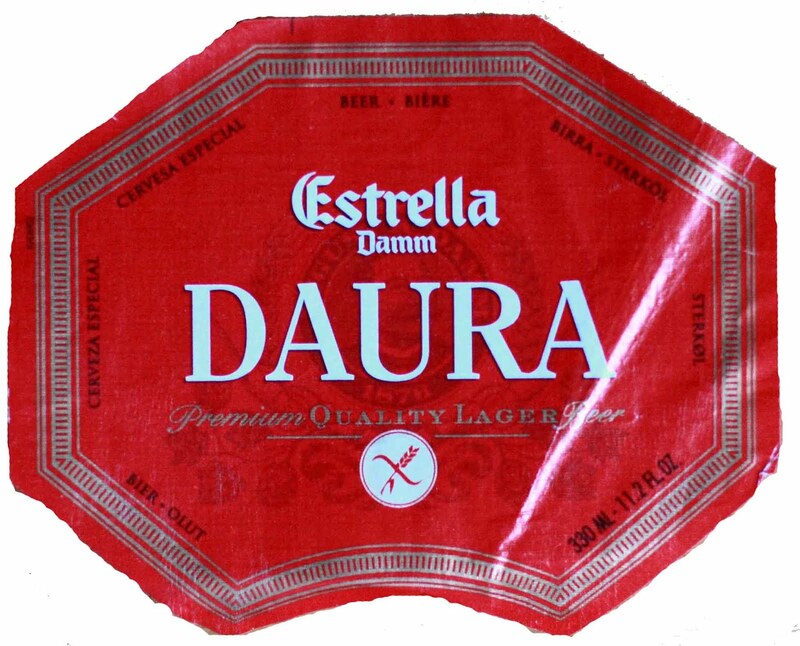 They’re available in Tesco and they’re actually affordable at less than €2.00 for a 1 litre carton... I too was really excited when I first spotted them shining back at me from the shelf but, when I came upon them the first thing I did was pick up a carton and read the ingredients only to find that sugar is the SECOND ingredient... that means there is more sugar than nut in Alpro's Nut Milks! ...And that is when my excitement dwindled. Originally I was aghast at a ‘dairy substitute’ to milk which is basically sugar water with a splash of nut but after reading EcoMil’s sweetened almond milk’s nutritional information I was reminded about the Agave Syrup and Maltodextrin which brings the Sugar Carbohydrates to 3.1g (0.1g more than Alpro’s). However, it is important to note that Agave is obviously a low GI sugar and the greatly increased price (EcoMil is approximately €4.00 per carton) is most likely due to the 7% Almond content as opposed to the 2% Almond content in Alpro’s milk. Ecomil does make an unsweetened Almond milk and even at it’s equally high price of approx. €4.00 I don’t think that Alpro can compete. Dairy Free and Food Allergic diets need quality substitutes that will aid a diet nutritionally, not zap any of the good out of it with unnecessary sugars. I know that not everyone agrees with me on this but it really is something that every Free From person should contemplate. Either way, I think that sugar and sweetness should be reserved for indulgences, not daily staples (I’ve even given up my super, but naturally sweetened favourite rice milk in this belief). And I’m definitely not convinced that a ‘Plant Power’ Dairy Free milk substitute should be more sugar than plant and only 2% plant at that! But I won’t knock the price - I’d definitely like to see more of that in the future when talking about Dairy Free substitutes!!! Outside of nutritional value, I wasn’t able to taste test Alpro’s Almond milk myself because I’m Sugar and Sweetener Free until Easter (at least) so I got my Dad to drink a cup and tell me what he thought. From a visual perspective I liked the thickness and consistency. Dad reported it to taste ‘nice’ and ‘a little bit like milk with sugar in it’. That’s about all I could get out of him - he’s not a man of many words, my Father - but he did drink the whole cup... but then again, like me he probably would no matter what it tasted like... sorry folks. From what I gather I reckon that Alpro Almond or Hazelnut is a good choice for sweet treats and indulgent dairy requirements but not the most nutritionally sound choice for day-to-day staples... Especially for kids and dental bills! But that's just my opinion... Do let me know what you think of it - and/or how you feel about the Sugar debate - and what your favourite Dairy Free milk is! Ingredients: Filtered water, almond* (7%), agave syrup*, maltodextrin*. I’ve been thinking lately about why the genuinely Food Allergic can get so annoyed and even angry at the Faux-Allergic. Yes, it’s annoying when someone ‘tells you’ what it’s like to have an allergy and how they experience the same thing as you when their ‘allergy’ is obviously an optional restriction but really why get annoyed? Sure, this person doesn’t really understand and sure, they might be making light of your potentially life-threatening problem but I think that we should focus on the benefits. First of all, all restrictions DO have something in common, and even if your allergy or intolerance is way stronger than their slight bloating or imagined side-effects this person does understand to a degree and (importantly) respects that food can cause adverse reactions and might just be telling you the truth and actually dealing with a mild but genuine intolerance and although there are arguments saying that they weaken the cause and make the public take the genuinely and seriously allergic less serious, I think that there is another side to it. I think that there are strength in numbers and that we need numbers to make living with a food allergy, intolerance or restriction easier. If they feel better Free From a specific food item then all the better because the more Free From people there are the more Free From foods will be produced, the cheaper these Free From foods will get and the better they will taste because companies will invest in recipe improvement.. now surely we can see through the annoyance and recognize that whatever the reason this person is maintaining a restricted diet that there is a greater cause at hand and that just like Vegetarians and Vegans, they should be equally respected. That instead of condeming we should educate them in the importance and potential dangers and that we should all join in camaraderie because every food restriction be it mandatory, elective, political or just part of a fad helps food producers see that we want better choices, helps restaurants and chefs to think outside of taste alone and helps us by making our restricted diet better. 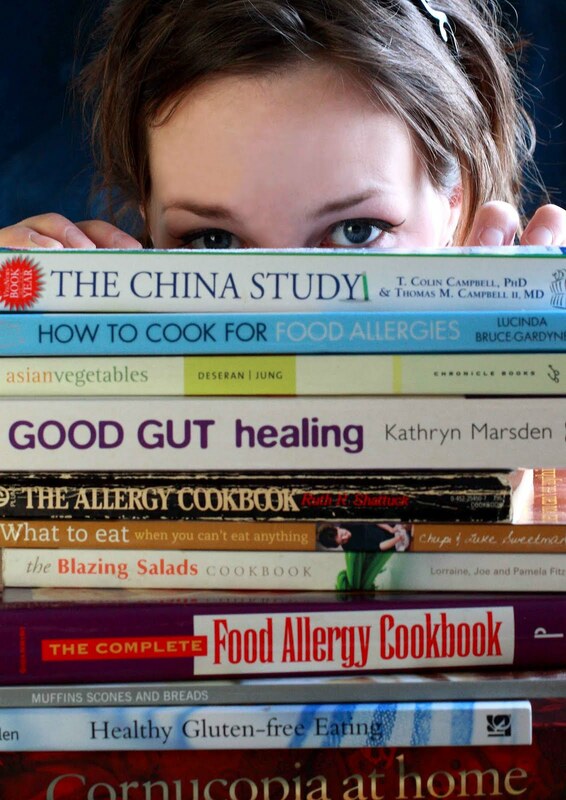 Also, just as a side note, sometimes someone might think that they have a food allergy, and they trail through elimination diets to no avail... but that doesn’t mean that they don’t have a problem.. it just might go beyond a particular food to a greater health issue... you never know. Happy Weekend and hope you get out and enjoy that glorious day!! 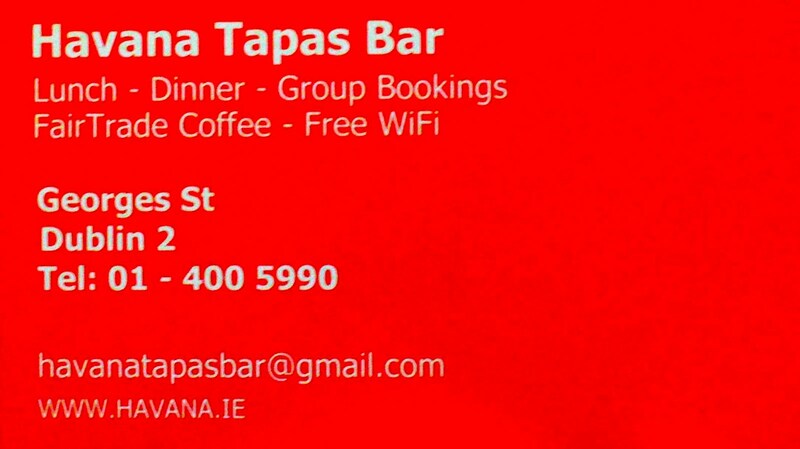 Now, as amazing as Havana’s is for Gluten Free options they are a bit less amazing for other food allergies. I do eat there regularly and have rarely had a problem but I would recommend being firm and treading carefully because, despite helpfulness, I’m not convinced that the staff is 100% knowledgable. Example: I was asking about Dairy Free options but when we got to the topic of chorizo, my waiter after previously speaking to the chef about my Dairy Free options, confirmed that the chorizo was Dairy Free. However, I double checked by asking that there definitely was no ‘lactic acid or similar in the ingredients', to which I got a vague ‘No, why would there be? Lactose is just in milk and sugar’ ...so I explained why something like lactic acid would be used and how it appears in many unsuspecting products such as Tayto’s crisps. My waiter genuinely seemed interested but also did not come back with a definitive answer ...SIGH... Her major avoids for Dairy was anything listing mushrooms, cheese (obviously) and the omlette (which she suspected to be Dairy Containing but also did not confirm afterwards). A further disappointment was her lack of including the Calamare which, if memory serves me correctly, is also Dairy Containing. I ended up eating my usual Seafood Paella which may not be as amazing as paella in Spain but does go down a treat with me, being a warm, hearty, comfort food bringing me back time and time again. harder time and probably end up with the Fried Potatoes, Couscous Salad, Havana Mixed Salad, Mixed Olives & Roasted Almonds or the Selection of Dips (watch out for Egg Containing mayonnaise and/or aioli sauce and Cheese containing Pesto). - If you are Gluten Free go today! - If you only have one food allergy/intolerance or restricted food then do go but be firm and relentless to ensure your safety. There are so many parts of town that I don’t get to unless I have specific business in the area... so last Saturday I made it my business to get to the SuperNatural Food Market to check out the Food Allergy Friendly goings-on. Where is this ‘SuperNatural Food Market’ you ask? Well, basically if you keep heading down Pearse St until you’re only 3 blocks away from Grand Canal Dock you will find a lovely little park and across the road, inside the St. Andrews Resource Centre (114-116) is the market with the best name in town. Here, every Saturday, you will find a food market with all things nice inside. Of course, if you are a regular reader you will know from Monday’s post that Antoinette’s (Gluten Free) Bakery is sometimes found in the SuperNatural Food Market serving up her ever popular Gluten Free baked goods as well as Vegan, Potato Free and Refined Sugar Free creations. But Antoinette’s Cakes are not the only thing to draw you in, there is also a baker who has many Dairy Free breads, a few Spelt based breads (including a Spelt based soda bread) and a Gluten Free loaf made with Chickpea Flour and by the time I got to the market at about 2pm there was only 1 Gluten Free loaf left! Also in the market is an organic butcher who cooks up some sausages on site and also sells his own home-made Gluten Free sausages. There is the regular fare such as Organic Veg, a flower stall (who is selling custom pots for mothers day - March 18th), a Whole Foods dealer with a quite a nice selection of products on offer, a fish stall and a natural cream/brush/soap type stall too. The SuperNatural Food Market is a great little spot. It’s not crowded to the gills so you can actually get a chance to look around at your ease and the atmosphere makes you want to take a seat and linger over your lunch or tea. 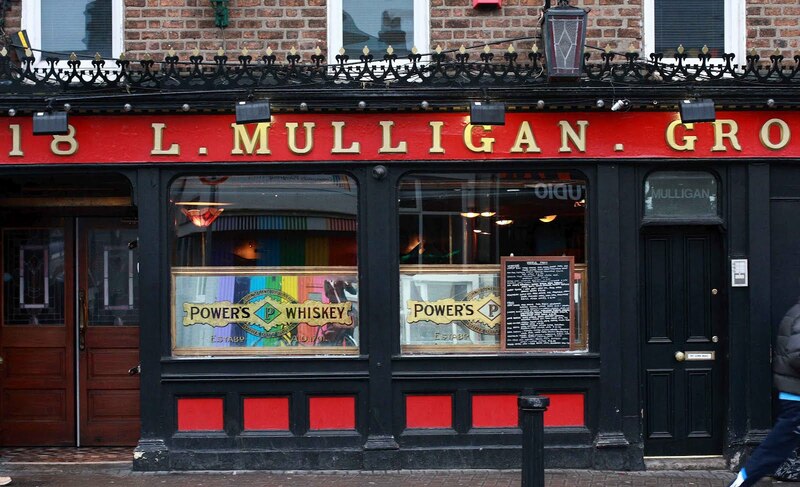 The market runs from 9:30am to 3:30pm and there are definitely reasons a plenty to make it your business to head out to this little pocket on Pearse St next Saturday. If you are a market-goer then you may have already stumbled upon Antoinette’s Bakery who is the new kid on the block and has been making some of the rounds. Found at Stillorgan Shopping Centre Food Market on Wednesdays, Leopardstown Racecourse Farmers Market on Fridays, and sometimes at either The Supernatural Food Market (Pearse St) or the Ha’Penny Flee Market (The Grand Social) on Saturdays, Gluten Free and sometimes Vegan and Refined Sugar Free sweet treats are never too far away! I met Sinead (the founder of Antoinette’s Bakery) last Saturday at the Super Natural Food Market on Pearse St. and bended my sweet free rules ever so slightly in order to try out one of her many tempting items. I love markets because the portions are usually closer to my ‘home sized’ slices so I happily tucked into a thick slice of slightly sweetened cornbread. Everything looked beautiful but I had to go with the cornbread in hopes of it being the least like a forbidden sweet... 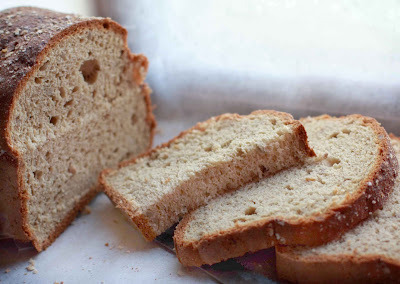 This cornbread is definitely not a savoury bread as it sweetened with ‘Sweet Freedom’ and although the sweetness was definitely present, it was gentle and not overpowering which helped with my guilty pleasure. The slice was thick and a bit crumbly but not without moisture and by the time I had savoured each bite I was quite content. F. chose one of the technicolour pink coated doughnuts which contained traditional sugar and definitely blew the sweet tooth off him. On the menu are giant Chocolate Chip Cookies for only €1 each (which had one little boy coming back multiple times), Banana Bread Muffins, Peanut Butter Brownies, Victoria Sponge Cake, Lavender Shortbread, Quiches, Lemon Squares, Apple Cake Slices and more! The best news, in my opinion, is that for once the Gluten Free treats (all made in a dedicated Gluten Free Bakery) are made with a Potato Free blend! Sinead’s personal flour blend is made up of Rice flour, Gram flour and Corn flour. 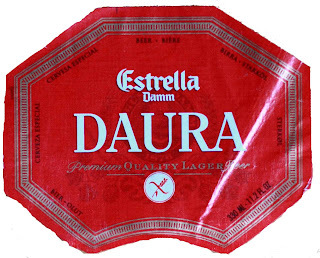 Most items are Soya Free (just ask for direction). The Banana Bread Muffin, the Doughnuts and the Cornbread are all Vegan and the Apple Cake Slice is Dairy Free (but contains Egg). Outside of the market circuit Sinead will whip of a batch of whatever you fancy for direct sale, See the contact details below. Warning: For Nut Allergy eaters you should be aware that Antoinette's Bakery use coconut, almonds and peanuts in the bakery. I was working in the city centre all last week which meant that I was keeping an eye out for affordable healthy Food Allergy Free lunches to tame my midday beast. Unfortunately I’m not used to having such a short lunchtime allotment so I kept ending up in Blazing Salads rotating between the Buckwheat burger and the Millet burger (I seriously can’t decide which I like more!) and sadly forgot all about the Blazing Salads stamp cards that have been tucked away in my wallet out of sight and out of mind for months… but one thing that I did spot was the Carrot & Avocado Living Soup now available in Cornucopia. I was thinking about it all week and really really wanting to try it out but the ingredient of raw garlic just didn’t seem a plausible lunchtime solution for fear of knocking my co-workers down with raw living garlic breath so at last, Saturday rolled around and when F. suggested a soup lunch I jumped at the opportunity! 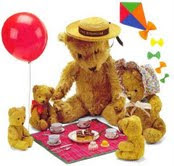 However, if you are less interested in my Raw soup and baked bread combo and more interested in Raw food, Raw activities and Raw talks you should check out Sseduced’s Afternoon Tea Party. 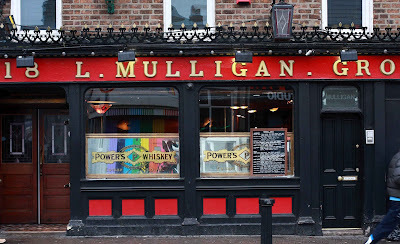 Síl, from Sseduced, is having a Raw Tea Party at in Clontarf on March 17th at 15:30 - 17:30 (a wonderful St. Patrick’s Day alternative might I say!). So head on over to www.sseduced.com to read more about it and book your place! But hurry because there are limited places and it’s booking up fast. 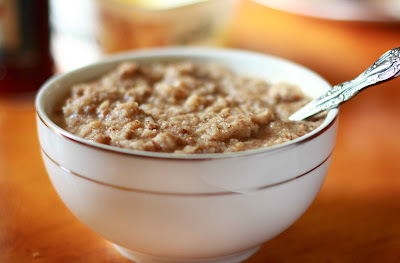 I’m sure that you’ve seen the scattering of certified ‘Gluten Free’ porridges for sale in the health food shops and larger grocery stores but perhaps, like me, you were looking for something that was also Oat Free... Well, I have finally settled on a recipe that gives me a tasty warm breakfast cereal which mimics my beloved oat porridge without the Oats, Gluten, Wheat, Milk or Sugar! 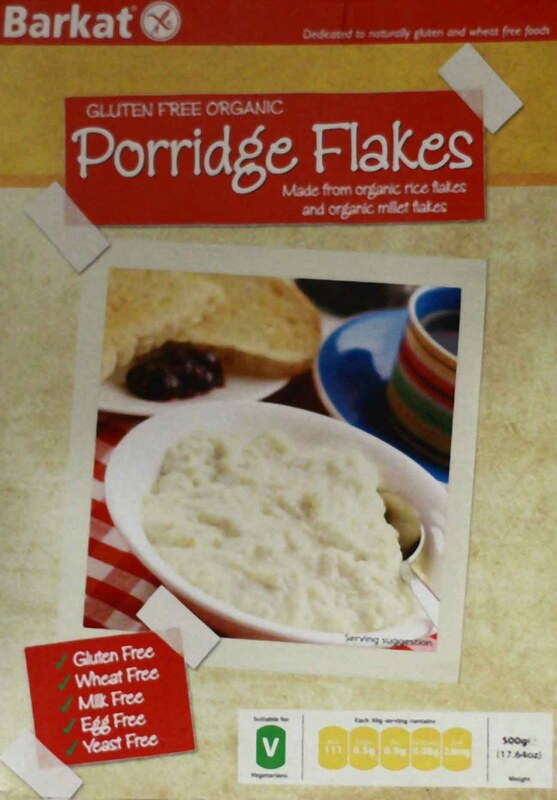 Recently I’ve been eating Barkat’s Gluten Free Organic Porridge Flakes which are made from millet flakes and rice flakes. It took a little getting used to due to the slightly more gelatinous texture and the different taste but after a little bit of testing and maneuvering I’ve managed to get a bit attached. Not so attached that if in the morning someone told me I could have oats again that I wouldn’t drop it like a hot potato but definitely to the point of enjoying my breakfast again despite having no milk or sweeteners to hide failings. Heat the rice milk to boiling point. Stir in the Porridge Flakes and Cinnamon. Stir continuously for 3 - 4 minutes. Transfer to a bowl and mix in the remaining ingredients (I find it best to have the dry ingredients already mixed together in the bowl and then add the cooked porridge on top and throughly mix). This little breakfast blend totally lasts you until lunchtime due to the pea protein and pumpkin seeds as well as managing to taste quite nice without the need for added sugar because of the natural sweetness of the rice milk. I think that when you are Gluten Free, Wheat Free and Milk Free (not to mention Sugar Free) it’s extra important to inject the added bang of the flax, pea protein and pumpkin seeds to help the longevity of the breakfast as well as the texture and consistency, thereby reducing the gel-like qualities. What do you eat for breakfast? Or how do you cook your porridge to make it yum-town good? Ingredients: Organic rice flakes, organic millet flakes, guar gum. My official opinion is that the Delicious Chocolate Brownie would taste really great with some Dairy Free and Gluten Free ice cream or cream substitute. 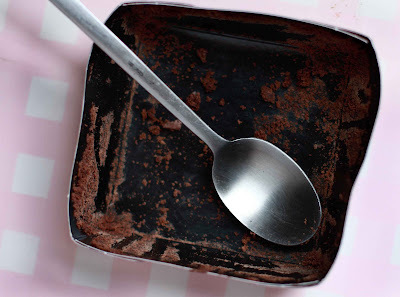 I enjoyed eating it out of it’s individual paper pot with a spoon (which is essential as the sides have some serious stickage to the tray) and although I thought that it tasted nice (great Gluten Free substitutions from the traditional recipe) I did feel like more sugar, or another form of natural sweetener wouldn’t go astray. Texture was brilliant and if you are looking for a more subtle brownie in the sweetness category then Delicious is the brownie for you. 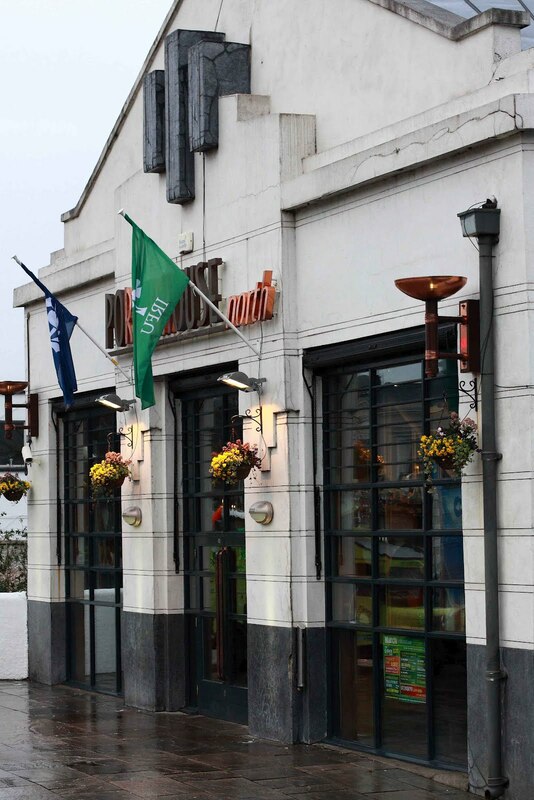 Delicious Gourmet Foods can be found in the Fallon & Byrne Foodhall on Exchequer St. Word on the street is that Delicious products can also be found in some SuperValu shops and Avoca. 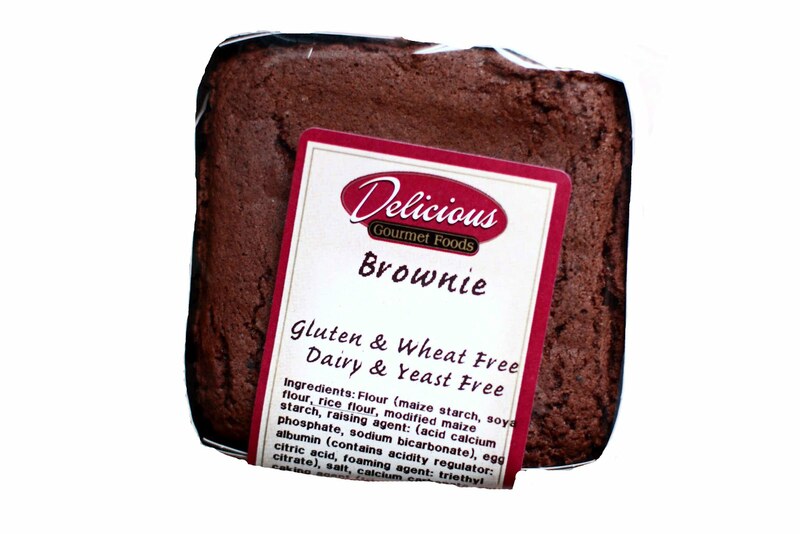 All of the products are Gluten and Wheat Free and are made in a dedicated Gluten Free bakery. Not all of the products are Dairy Free but many are so keep an eye out. Also, if you are in Cork (Carrigaline) call round to the factory on Fridays from 10:00 - 14:00 for ‘Factory Friday’ days where you can buy freshly baked Gluten Free treats that aren’t available in the stores or pre-order your favourite items on Mondays, Tuesdays and Wednesdays and then collect your pre-ordered items on the following Friday. 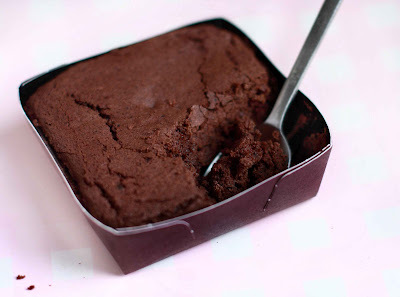 Have you tried Delicious’ Brownie, or any other Delicious products? Or maybe you have seen them available in other locations or maybe even cafés... If so, do please share your finds and what you thought of them! Their mince pies are seriously the best ever, in my humble opinion!